Mixes: South Blast!, DNF & Vnalogic, Diverson & Soldberg. Song "Mountain" was built through hard work and long hours of friends who love the mountains it is they were motivated by these producers who are trying to introduce the song as well as the beauty of a well-known unpredictability of the environment in which they grew up. 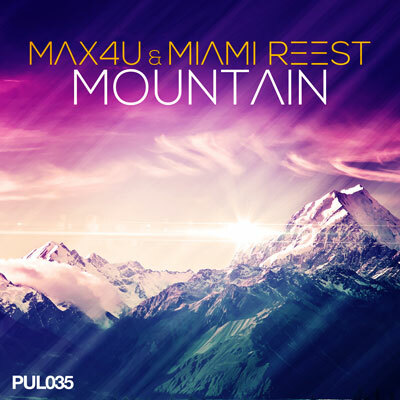 Max4U and the guys from Miami Reest trying to give us a picture of the mountains in the form of sounds. With this issue, just close your eyes to move in a different place in the world of high altitude, the powerful winds, beautiful views where you can find the stigma of civilization. Will they succeed? Judge for yourself listening to their latest production in which they are doing a good job. Just MOUNTAIN!! Miami Reest - a formation that consists of two DJs and music producers. The group was founded in April 2013. They have in your account the larger and less successful, try to create a variety of genres, not forgetting his style. In their productions, you can hear the mega dose of energy starting from the typical commercial sounds, ending sounds stronger club. Each production from under their hands has its own unique style and brings freshness to the music market.